When life hands you lemons, make some lemon water! Lemon water is the perfect way to start your day because there are so many benefits to this simple beverage. Here are some interesting facts about lemons and why you should drink some lemon water in the morning. Lemons are high in vitamin C. Vitamin C boosts your immune system, brightens your skin and diminishes blemishes and wrinkles. Vitamin C is also an amazing antioxidant. Lemons help with detoxification. They act as a diuretic, which helps to eliminate toxins and other impurities in your system. Lemons contain pectin fiber, which reduces hunger and has been shown to aid weight loss by helping you feel fuller for a longer time. Lemons are packed with potassium, which is important for brain and nerve function. We could all use a little brain boost in the morning! One thing you may not know is that lemons actually have an alkalizing effect in your body because they have a high alkaline mineral content. When you add lemons to ionized alkaline water, you turn your water into a super drink that’s loaded with vitamins and antioxidants. This water gives you the energy you need to start your day and help you along your weight loss journey. We recommend that you wash your lemons in strong alkaline water to remove pesticides first. Then, get your favorite glass and fill it up with alkaline water, squeeze the juice of 1/4 to 1/2 of a lemon into your water, and add some lemon slices. 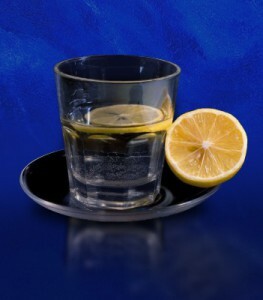 It is best to drink your lemon water every morning to supercharge your day. For an added bonus, you could drink it before meals to help aid digestion too. 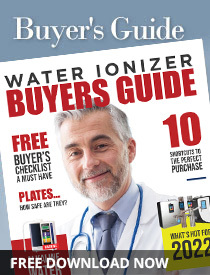 We suggest drinking alkaline water straight from your ionizer machine because this is when it has the most antioxidant punch, but lemon adds even more benefits to your already amazing alkaline water. Be sure to check back often for more tips about alkaline water!